Ikea Expedit update using a curtain panel from May Richer Fuller Be. 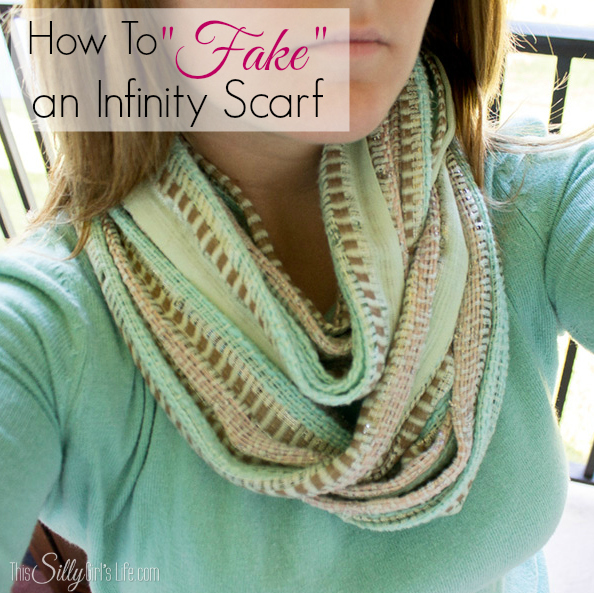 How to fake an infinity scarf from This Silly Girls Life. 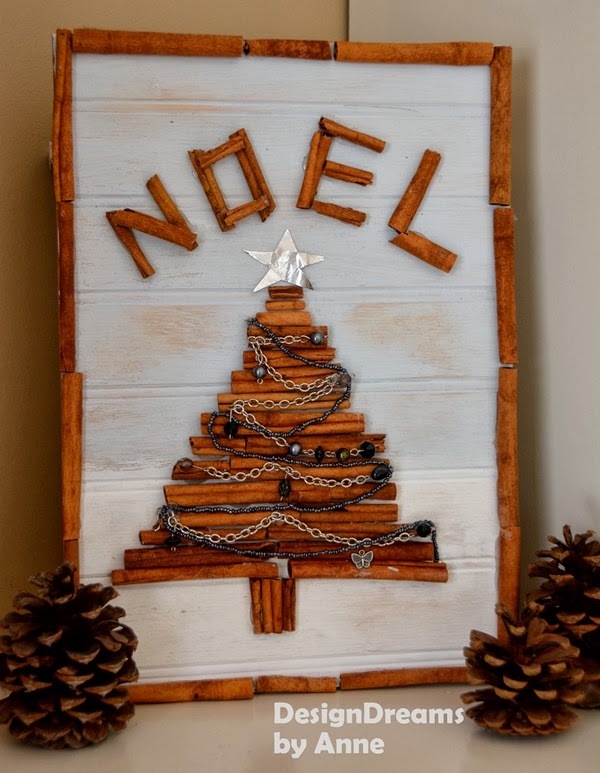 DIY cinnamon stick Christmas sign from Design Dreams by Anne. 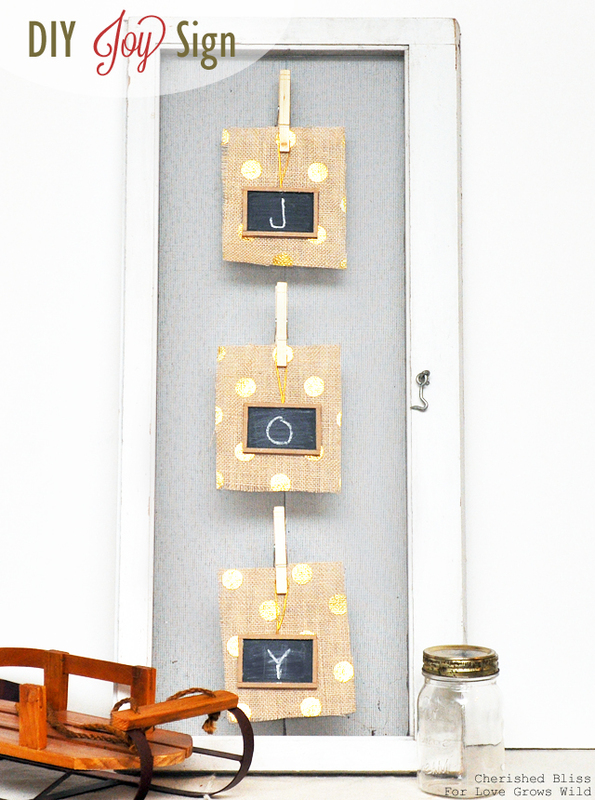 DIY Joy sign from Cherished Bliss for Love Grows Wild.